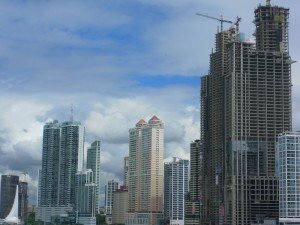 I was in Panama last month on a business trip. I had lunch with one of the people that I met. He was a German business man living in Panama. He left Germany behind and trying to start his life over in Panama on the crest of a real estate building boom. This is when an example of spiritual thirst appeared. The person who arranged for us to meet mentioned that I was a minister. It was a surprise to this German man that I could be a both business man and a minister. he wasn’t walking in the ways of the Lord and that perhaps we should have lunch. His frank admission seemed to come from left field. 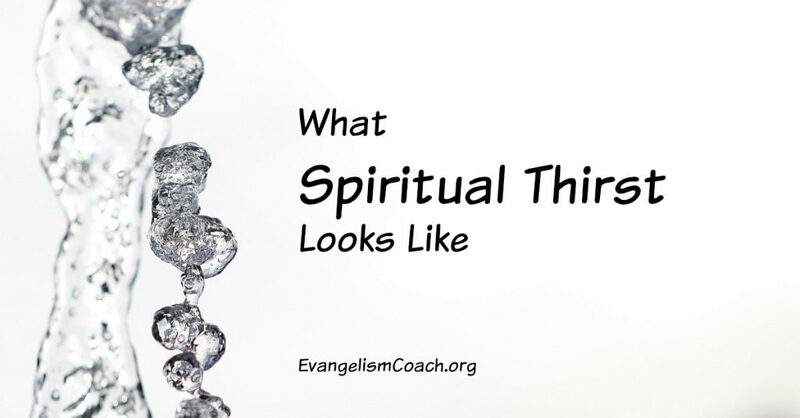 Is that spiritual thirst? (Read the tutorial). Yes. I’ve learned that when people suddenly open up about their spiritual condition, it’s an invitation to further discussion. I scheduled lunch for the next day! He tells me his story that clues me in that he’s a workaholic who has paid an enormous cost for this addiction. He didn’t like who he had become. His compulsion to work left him empty. His addiction to work had cost him nearly all his friends. He was alone in a foreign country. He wasn’t yet seeing that his personal restlessness was a spiritual longing. The restlessness in his heart is not only a symptom of his brokenness, but also of his need for the Lord. Although I could clearly see his need for the Lord to fill that restlessness, he wasn’t connecting the dots yet. For this man, the next step in his journey towards Christ is to connect the dots. His restlessness reflects the longing of the human heart to find the satisfaction that can be found only in a relationship with God. The task then becomes asking the Lord to help this man connect the dots. To increase the sense of restlessness, that sense of spiritual thirst, that would propel him to seek God. To connect that emptiness he expressed with a spiritual longing that he didn’t think he had. I began to share with my lunch friend about a wise man who once tried to fulfill his heart with everything. But at the end, he discovers that only a relationship with God will fill that void, that restlessness. We talked and talked about what this wise man discovered. Using questions inspired at the moment, along with my knowledge of Ecclesiastes, we had a long conversation that effectively amplified this man’s spiritual thirst. It was clear to me that this man was not aware of the conviction of sin that leads to repentance. He was not at that place. To read the book of Ecclesiastes and ponder it’s meaning. How would you have interacted with him?